What are the best and most productive ways to talk with your spouse about money? 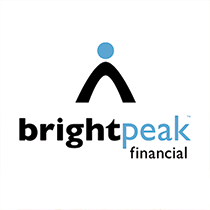 Tim Schuster, for Brightpeak Financial, shares some valuable tips. At the time our income was sporadic – one month we didn’t have enough to pay our bills. But the next month we had an influx of cash, so over the course of two months we were just fine. One of us saw immediate month at hand (“We don’t have enough!”) and the other saw the two-month span (“We have just enough!”). Our first money fight – as is every money fight – was spurred by the fears around what is “enough.” We’ve learned that it’s not “if” you fight, it’s when you fight about money. Kelsey and I find it very unproductive to talk about money sitting across from each other at the table or in the living room. This position implies we are against each other. We are not against each other. She is not my opponent. She is my partner, and partners work better when they are on the same side, such as a kitchen table, looking at a budget on a computer screen or out the window at a beautiful world. When we sit faced in the same direction, it’s just two kids trying to figure it out and take on the world. We are ready to collaborate by looking at the same data and exploring ways to solve problems or embrace tension (see below). Try this: next time you talk “money” with your spouse, sit next to him or her looking in the same direction. Kelsey and I realized we grew up with different approaches to money. Some families entertain open and honest and ongoing conversations about money and spending, and they can do so just about anywhere, at any time. Other families have a regular “budget meeting” where the tone is serious but wildly productive. Whatever your jam, just knowing differences exist can be helpful. Gender also matters. As a man, I tend to view money as a source of “freedom” and as a woman, Kelsey is more apt to view the possession of money as a source of “security.” What is the difference between freedom and security exactly? We couldn’t tell you, but we know it’s there. Try this: Sit down with your spouse and discuss “what money means” to each of you. You might understand each other’s views better and be able to find a cleaner middle ground. 3. Solve It or Embrace It? Some problems cannot be solved. Some problems can only be embraced as natural tensions. This is because some problems are simply ongoing tensions to be embraced through the ebb and flow of time. We move in seasons with varying conceptions of priorities and needs. For instance, is it more important to save or pay down debt? I can’t tell you exactly for your family’s situation, but I do know both are important. There is a rational side of money and an irrational side of money. Embrace this tension as natural – and that sometimes we do more harm than good when trying to solve problems that are simply tensions to be embraced. Try this: When you’ve come to a problem you can’t figure out how to solve as a couple, write it down on a note-card Find a jar or basket you can designate as your prayer box. Put the note-card in the box and acknowledge the fact that you’ve taken this issue up with God and allow him time to help you figure out how to solve or embrace it. Christians have been fighting with each other for two thousand years. From all of us at brightpeak financial, we wish you happy money fighting! It’s okay. It happens. And when it happens, do it fairly and with the best interest if your partner in mind.